This research-project analyses how the interaction between prince, nobles and urban elites influenced the construction, perception, and representation of a territory. The test case will be the late medieval Duchy of Brabant, which still has historical and territorial significance for many people in present-day Belgium and the Netherlands. To underscore the fluidity and multiplicity of the concept of territory, this project sets out to disentangle the divergent, though sometimes overlapping, conceptions of what exactly Brabant was (or should be) in the eyes of different political actors, in this time before the availability of reliable scale maps. To answer the main research question the project takes a twofold approach. On the one hand, we will define ducal, noble, and urban conceptions of Brabant mainly through administrative sources, particularly those of the fourteenth century that reflect a turning point in the capturing of territory. On the other hand, we will explicate how differently political actors envisaged and visualized territory in a wide range of relevant sources: architectural, heraldic, cartographic, narrative, and administrative. In this way, the project provides a completely new perspective on the concept of territory before cartography and state formation turned boundaries and territories into more fixed (but still changeable) geographical entities. The project is funded by the Netherlands Organisation for Scientific Research (NWO) within the framework of the so-called ‘Free Competition Humanities programme’ (2016-2020). Click here for more information on the NWO-website. Researchers on this project are Mario Damen (PI), Kim Overlaet (Postdoc) and Arend Elias Oostindiér (PhD). For more information click here. 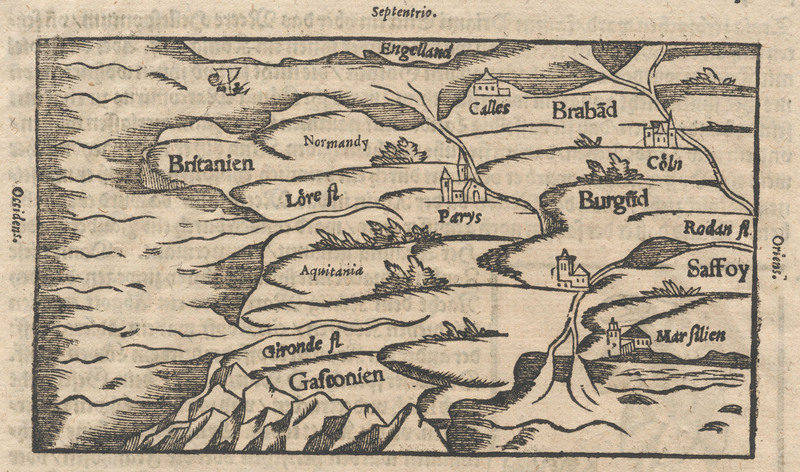 An outline of an intriguing new research project on the late medieval Duchy of Brabant.